We collect information from you when you register on our site, subscribe to our newsletter or fill out a form. When ordering or registering on our site, as appropriate, you may be asked to enter your: name, e-mail address, mailing address, phone number. You may, however, visit our site anonymously. 5 Your information, whether public or private, will not be sold, exchanged, transferred, or given to any other company for any reason whatsoever, without your consent, other than for the express purpose of delivering the purchased product or service requested. 7 The email address you provide for order processing, may be used to send you information and updates pertaining to your order, in addition to receiving occasional company news, updates, related product or service information, etc. We implement a variety of security measures to maintain the safety of your personal information when you enter, submit, or access your personal information. We offer the use of a secure server. All supplied sensitive/credit information is transmitted using the latest 256-bit Secure Socket Layer (SSL) encryption technology and then encrypted into our Payment gateway providers database only to be accessible by those authorized with special access rights to such systems, and are required to keep the information confidential. 256-bit SSL encryption is approximated to take at least one trillion years to break, and is the industry standard. 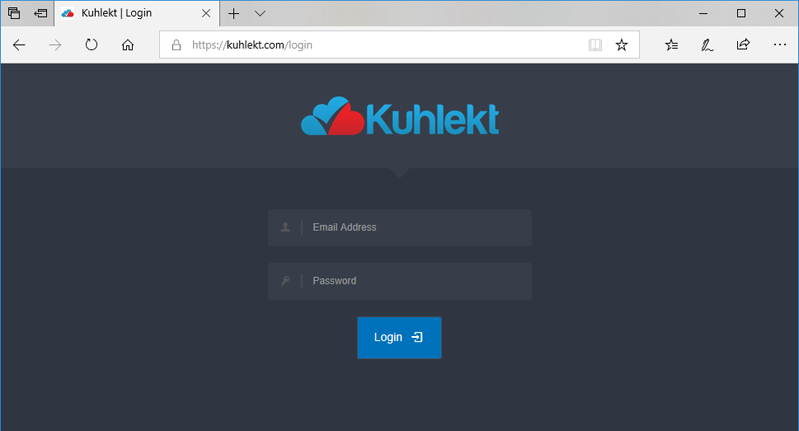 If you have any questions regarding our security policy, please contact our support@kuhlekt.com Processing of payments occurs using 3rd party payment gateways and as such, your credit card information is never stored on our servers. By using this Internet site, you expressly consent to the processing of your personal data by Google under the conditions and for the purposes described above. To consult Google’s Confidentiality Rules, navigate to: https://policies.google.com/privacy?hl=en-GB.